The Spiral Knot Necklace Set is an inspiration of the colours of nature, with the spiral chain that adorns the neck and with a floral pendant that has floral design. 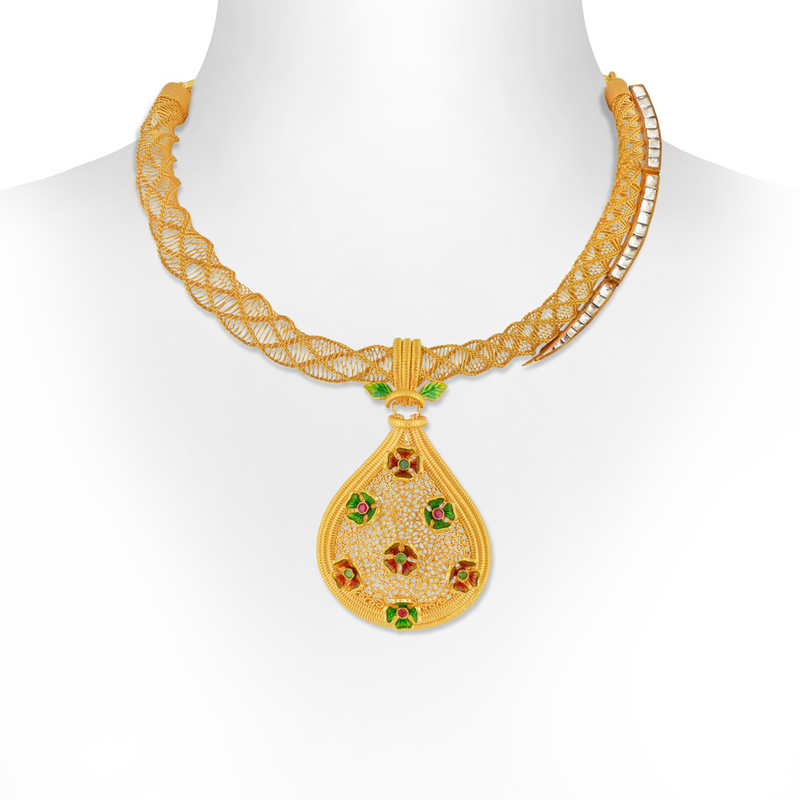 The gold necklace set has a pair of gold earrings that expresses the true beauty of nature. Made in 22 KT gold, this set with nature-inspired gold necklace design suits stylish western and Indo-western outfits.